It's Monday morning and, as a parent, you brace yourself. As you turn the corner of your child's room you see your kid huddled under the blankets peacefully, you know that in only a few moments your kiddo will be moaning and whining, maybe even pretending to be sick so they don't have to go to school. It's not like they hate school that much but they certainly love complaining about it. Instead of letting those complaints wash over you, consider letting your child know how easy she has it. After all, many children in the Victorian era were sent off to boarding schools from a young age, dealing with strict rules and regiments. Not only has your child avoided an era when teachers wrapped knuckles with a ruler for something so small as a child forgetting her Latin phrases but she doesn't even have to memorize Latin phrases anymore. *sigh* The modern life is good. Oh, is your kid left handed? Well, that would have been a punishable offense in a Victorian school. She might complain about getting up early to go to school but she needs to be grateful that these days she gets to learn her "Reading, wRiting, and aRithmetic" in peace. 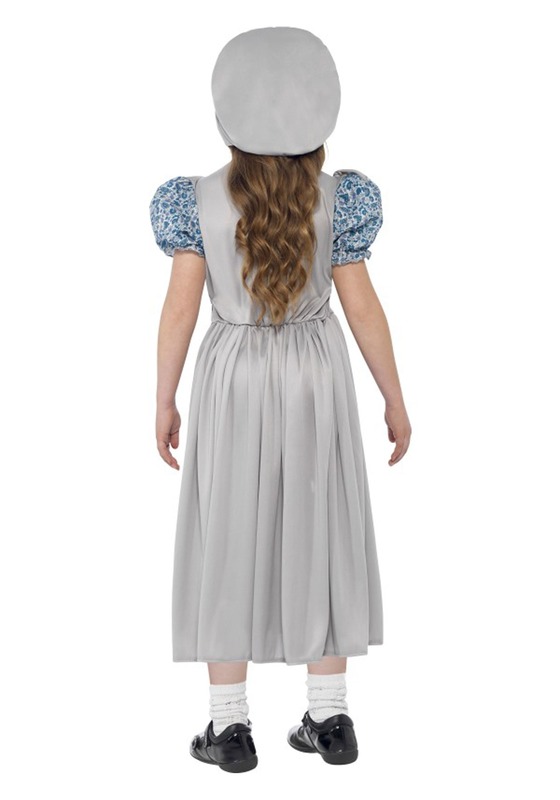 At least those poor Victorian era school girls got to wear very cute uniforms. This ensemble is done in the sober colors of the time. 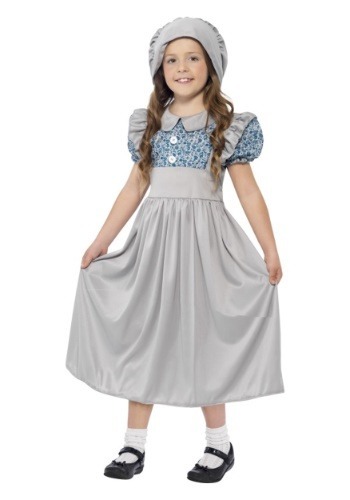 The puffed sleeves are complimented with the simple, pleated pinafore. Maybe your daughter is starring in a school play like, "The Little Princess" or she might have a unique Halloween costume in mind, either way, a few hours in this costume might give your kiddo some perspective on her education. The next Monday she'll spring out of bed with a smile on her face, right?